1. Gun Runner – He left no doubt last Saturday, winning the Grade 1 Breeders’ Cup Classic by 2 1/4 lengths over Collected. He’ll be the 2017 Horse of the Year by a landslide. 2. Collected – He put up a fantastic effort in the Breeders’ Cup Classic, falling just short to Gun Runner. At the top of the stretch, he made a bold move, but just couldn’t make up ground on the champ. 3. 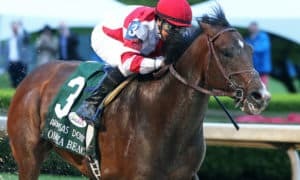 World Approval – He should be the Turf Horse of the Year after three straight Grade 1 victories, including the Breeders’ Cup Mile over a terrific field. Since cutting back in distance, he has been fantastic. 4. 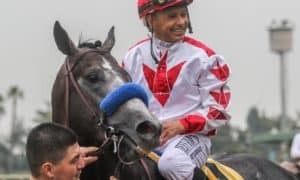 Arrogate – He never recovered after giving us the thrill of a lifetime in Dubai. It was more of the same for him in the Classic: unable to regain his form after that awe-inspiring performance in the World Cup. 5. Sharp Azteca – He deserves a ton of credit for finishing second in the Dirt Mile after setting fast fractions early. He proved to be a legitimate horse in that race. Sleeper: Diversify – The New York-bred went wire-to-wire in the Grade 1 Jockey Club Gold Cup and runs next in the Grade 1 Cigar Mile. 1. Forever Unbridled – Only raced three times, she made them all count. 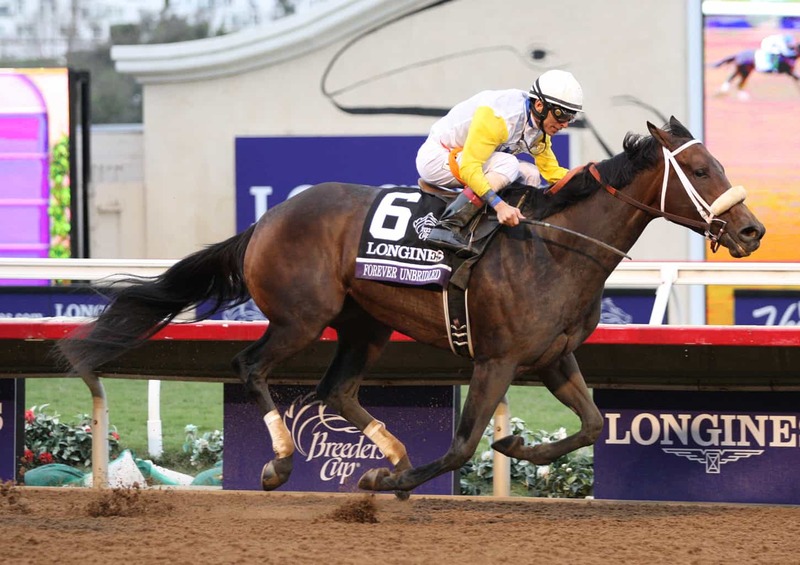 She easily defeated her rivals in the Grade 1 Breeders’ Cup Distaff to lock up the award for top older female. 2. Stellar Wind – For the third straight year, she was defeated at the Breeders’ Cup despite having a great campaign. She didn’t bring her normal effort to the race and has now retired. 3. Lady Eli – It was an extremely disappointing result for her in the Grade 1 Filly & Mare Turf, but she had a legitimate excuse. After a really rough trip, she emerged with a huge gash on her leg after the race. For now, she has been pulled out of the November breeding stock sale. 4. Songbird – Sadly, she has been retired. 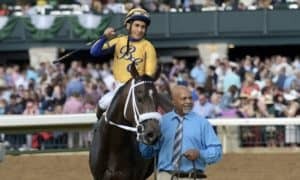 The back-to-back Eclipse Award winner will not make it three years in a row. Thanks for the memories, Songbird! 5. Vale Dori – After battling head-to-head with Stellar Wind all year long, she’ll be the top California mare heading into 2018. Sleeper: Money’soncharlotte – She continues to be consistent, finishing second in the Grade 2 Chilukki in her last start. 1. 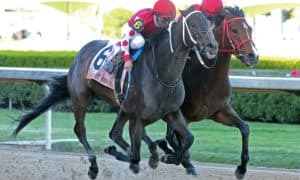 West Coast – He pretty much had this division on lockdown going into the Breeders’ Cup but solidified it with a nice third-place finish in the Classic. He will be a top older male next year. 2. Battle of Midway – What a wild up-and-down season for him! He took home the Dirt Mile over an extremely talented Sharp Azteca and could develop into a great older horse as well. 3. Oscar Performance – He had some trouble when facing the older horses this year, but he still deserves credit for a solid 2017 season. His major turf wins were impressive. 4. Irap – This is really sad. Unfortunately, he was injured in the Pennsylvania Derby and has passed away due to laminitis. RIP, Irap. 5. Practical Joke – He never lost when running in one turn races, but it’s a shame that he didn’t run in more of them. It’s also a shame that he’ll now be retired to stud. Sleeper: Twisted Tom – He deserves a mention after winning the Empire Classic against older horses. 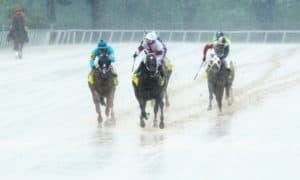 He’s won six of seven races this year, with his only loss coming in the Belmont Stakes. 1. 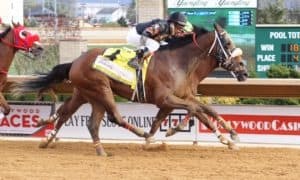 Abel Tasman – She proved to be the best in this division with a great second-place finish in the Breeders’ Cup Distaff. She was closing late on Forever Unbridled but couldn’t quite get there in time. 2. Elate – She failed to fire her best effort in the Distaff, but she still had a great second half of the year. She deserves to be ranked highly and is set up for a big 2018. 3. 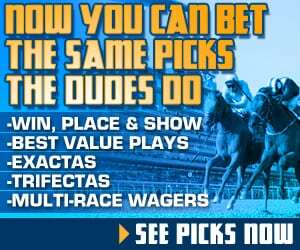 Paradise Woods – She set the pace in the Distaff before fading to third. Her connections will have some time now to try to figure out what they need to do to get the most out of her. Her talent level is very high. 4. It Tiz Well – Consistently getting better and better with each race, she put it all together to take home the Cotillion. 5. 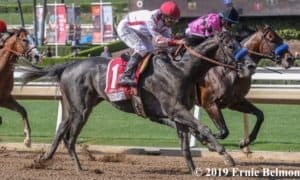 Unique Bella – Wow… she put up an effort in the Filly and Mare Sprint that was too bad to believe, and with no explanation. Sleeper: Lady Aurelia – She may have been a little tired at the end of a long campaign in the Turf Sprint. Still, this is one you shouldn’t forget about anytime soon. 1. 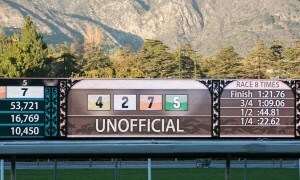 Roy H – He earned top honors in this division with a dramatic win in the Grade 1 Breeders’ Cup Sprint over Imperial Hint. This horse turned into a beast during the second half of the year. 2. Drefong – A total no-show in the Sprint, he broke poorly out of the gate and didn’t get to where he likes to be, which is on the lead. It was a frustrating Breeders’ Cup for trainer Bob Baffert. 3. Imperial Hint – He proved his worth on the big stage as he just barely missed in the Sprint to Roy H. Hopefully, the plan will be to target bigger races from now on with this talented runner. 4. Mind Your Biscuits – He put in a solid effort to finish third in the Sprint after dropping way out of the race early on. It was a solid rebound effort for him after a terrible showing at Saratoga earlier this year. 5. Ransom the Moon – He had a very solid year, but he might be just a little bit behind the others talent-wise. Sleeper: Takaful – I still want to keep him here because I think he will be sneaky next year. If he can develop mentally, he could become dangerous. 1. 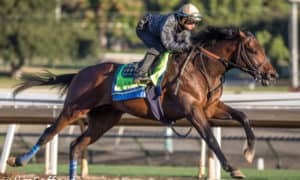 Bolt d’Oro – Some may disagree with me keeping him number one, but his trip in the Grade 1 Breeders’ Cup Juvenile was a total joke, considering that he still performed very well. 3. Solomini – Keep a close eye on him, as he seems to be developing rapidly for the ever-dangerous Bob Baffert. He was very solid in the Juvenile. 4. Copper Bullet – The Grade 2 Saratoga Special winner has shown more talent than any other colt this year. However, he’s sidelined now with a minor injury. He’s out until 2018. 5. Dak Attack – He’s a perfect two-for-two after beating Sporting Chance on debut, then defeating Ten City, who beat Copper Bullet at one point this year. He’s now injured, though, and is out until 2018. 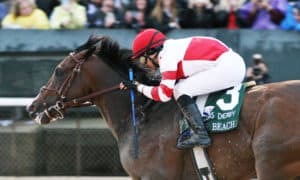 Sleeper: Engage – Developing nicely for trainer Chad Brown, he dominated the Grade 3 Futurity going 6 furlongs at Belmont Park. 1. Rushing Fall – She finishes the year a perfect three-for-three and looks like she could turn into an absolute beast. Trainer Chad Brown has yet another star on his hands. 2. Caledonia Road – She was the upset winner of the Grade 1 Breeders’ Cup Juvenile Fillies at odds of 17-1. She has two wins and a second in three starts and has a big shot to win the 2 Year Old Filly of the Year. 3. Moonshine Memories – She completely flopped in the Juvenile Fillies but has still had a nice year. She’ll likely rebound off of that effort. 4. Separationofpowers – Her post position really killed her, but she still ran well in the Juvenile Fillies. Her pedigree suggests that she will run well when going longer. 5. Alluring Star – She could be one to really watch for next year. She’s lightly raced and improving with every start. Sleeper: Happy Like a Fool – She returned from Europe to romp in the Grade 3 Matron at Belmont, which makes her a perfect two-for-two in this country and on the dirt.